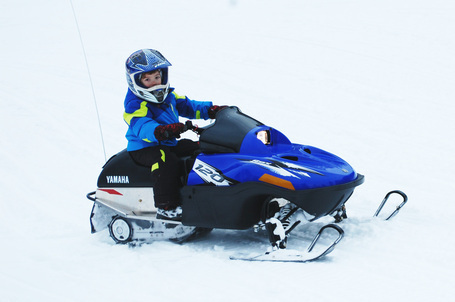 Come outside and enjoy Canada's winter land on an SRX 120, Phazer or Vector snowmobile. 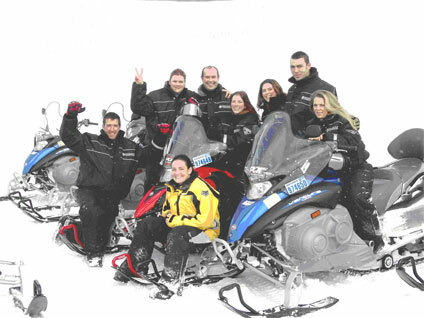 We provide warm snowmobile suits ……..
Our home training base is Horseshoe Valley Resort, one hour north of Toronto. Please check out our Main Training Site Location and/or our Driving Directions page for the details. We operate, weather-permitting, on Tuesdays, Thursdays, Saturdays and Sundays. Groups may pre-book other days. Please note: Passengers under 12 years of age can ride at no charge, but they must be at least 42 inches tall. We provide cold weather riding gear all for teens and adults, and a limited number of young children. Please check our our Packages and Prices page for more information. Note: There is no charge for passengers under 12 years of age, fuel or riding gear. We do not rent snowmobiles and all tours are guided.